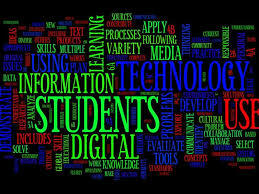 TECHNOLOGY - WHY IT'S IMPERATIVE FOR GR 12 LEARNERS IN SOUTH AFRICA! With no backup of research done, one would go on a limb here that almost every Grade 12, average 18 years old learner knows about the Internet and all the social media that comes with it. The majority of access to these online platforms is through smartphones. For those fortunate they use notebooks, tablets, school computer labs or even family members’ to access all kinds of information. Ask any teenager these days they would rather have data bundles over airtime or anything else. As a Grade 12 learner you have important information and platforms that you need to focus on in preparation for your life after high school. The first thing that technology empowers you with is a thorough search of a career choice. You can search, watch, interact in many platforms about all the career choices you envisage taking in higher education. Infact, this search should start way before Grade 12 so as to give yourself enough time to search for all career opportunities. For example, just using Google to search for a career as a pilot will give you options that will answer what a pilot is, how they work, where they work, how much they earn, who hires them and all the highs and lows of being a pilot. The good about this you can do this with every career possible. Secondly, another advantage of being technologically connected is your access and funding for your higher education. Almost all higher education institutions have migrated from paper based application to online applications. At the click of a button the institutions have eliminated back and forth through the post office. The advantage is that you can save and continue your application within the closing date, check your application status and update any outstanding documents and information. In addition, funders of higher education also use web-based systems for submission of application forms. When they solicit deserving learners to fund they want their applications done online. What more freedom could you ask for then, when at the comfort of your own home, school, or whoever is assisting you to connect technologically you access your career choice, apply for higher institution and find a financier for your studies?